Our personalised new baby hamper contains a selection of unique, unusual and modern gifts for a baby girl or boy! 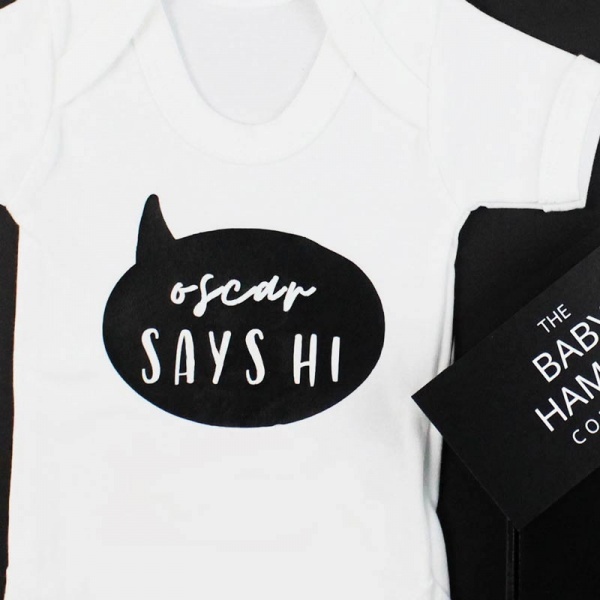 'Baby Say Hi' t-shirt bodysuit in white - a soft cotton pure white bodysuit, hand personalised with your new baby's name in the 'baby says hi' slogan. Size 0-3 months. 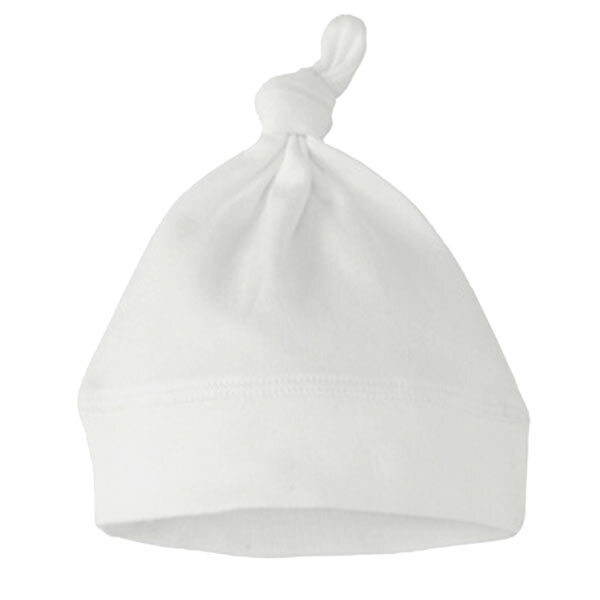 White knotted beanie hat - a pure white cotton baby hat to match the bodysuit above and make a great outfit. Size 0-6 months. 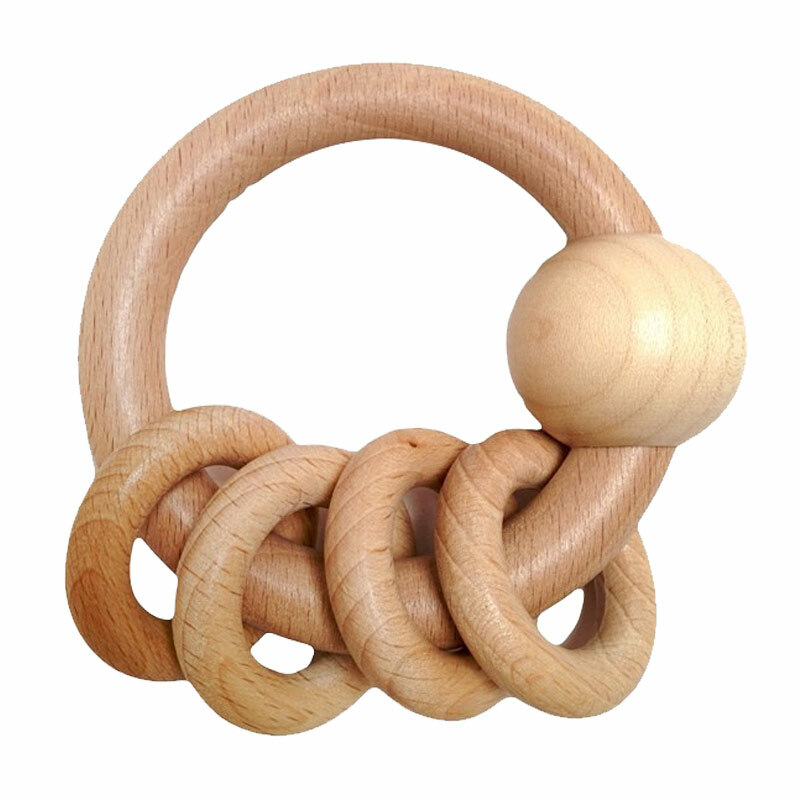 Wooden Rattle ring - a tactile wooden baby toy, that provides great entertainment at home or out and about. 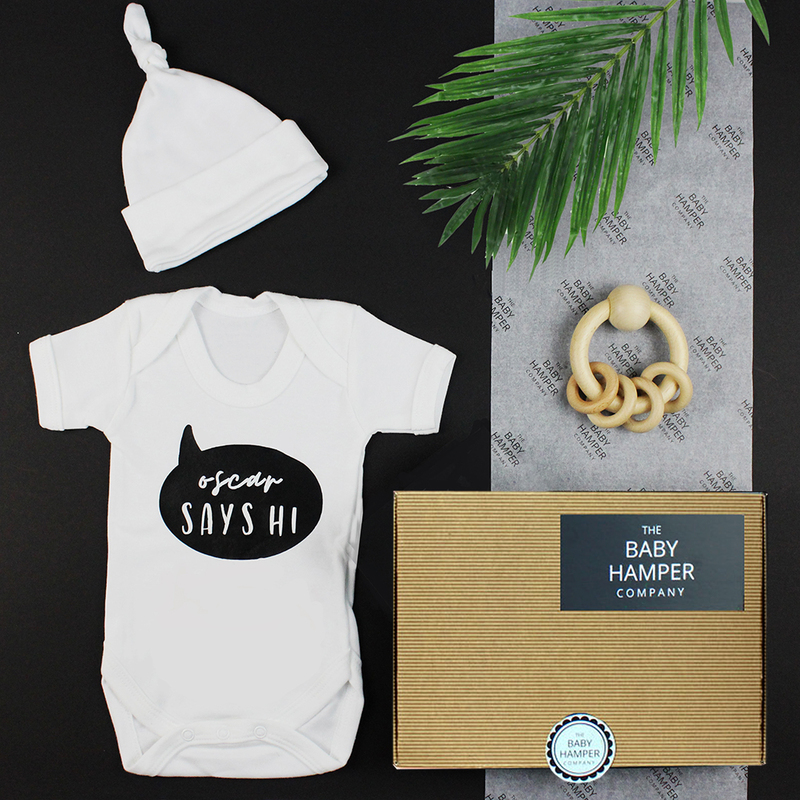 All of these new baby gifts come luxury wrapped in our new letterbox friendly gift boxes, so your present can be delivered without disturbing your new mummies and daddies. Additional items cannot be added to these boxes due to size constraints.